A spokeswoman for the State Attorney's Office in Orlando said Monday that prosecutors have filed papers seeking to have Anthony executed if she is convicted of first-degree murder. 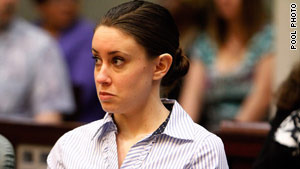 Prosecutors plan to seek the death penalty for Casey Anthony, a Florida woman accused of murdering her daughter, a spokeswoman for the state attorney's office said today. "She has shown no emotion," Padilla told ABCNews in July. "That's unusual. At the time of the interviews … she didn't seem concerned and that made this case much stranger."